After meeting a couple of American fans at a nearby bar after Sydney 2013, I asked everyone in the group what their favorite Springsteen song was. 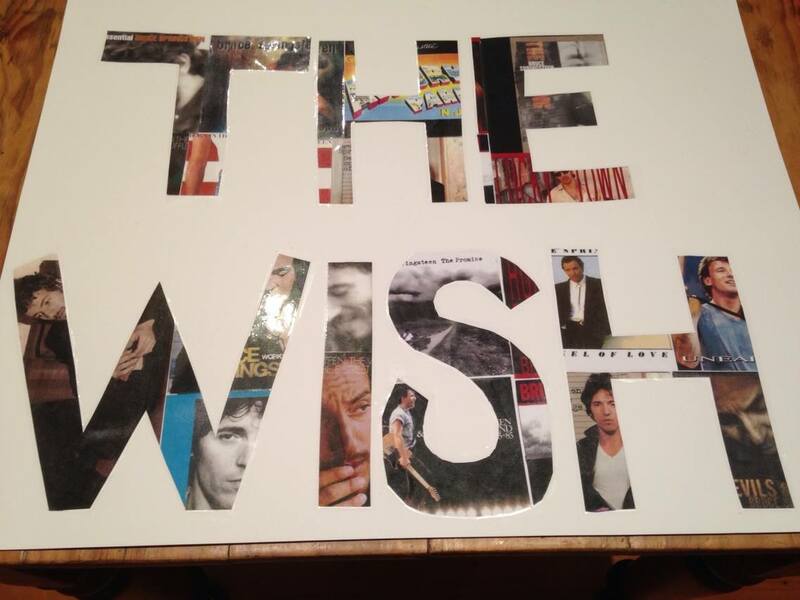 One of the guys (Dr Rick, great guy) stated that his favorite song was The Wish– I wasn’t actually familiar with it, but made a point of coming home and really listening to it- it was an Oh My God moment of “why haven’t I noticed this song?? Well maybe three kids and not getting my CDs on as often as I would like or maybe that we mostly play our favorites over and over. The Wish was now on my list of very favorites! 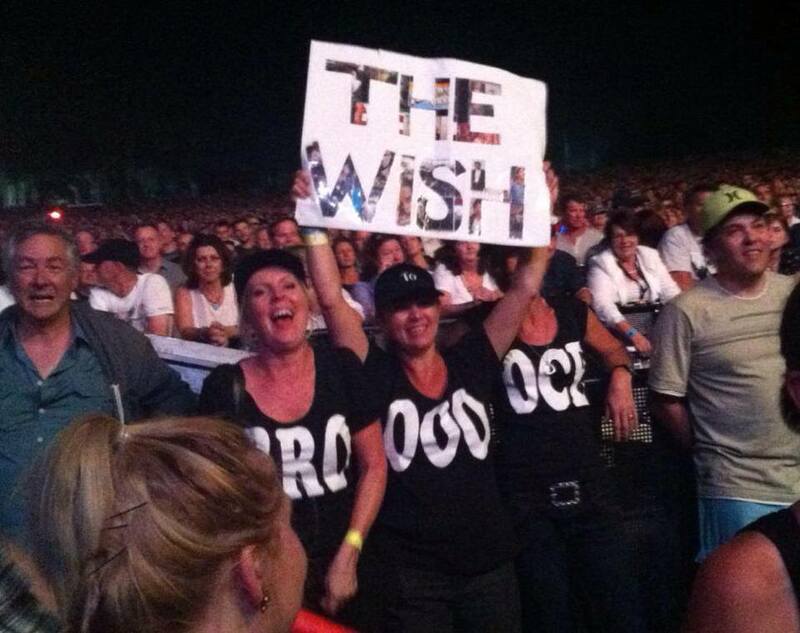 With this in mind and the fact that my Jersey Girl sign was getting a little worse for wear with a few red wine stains (thanks Hanging Rock) and the fact it had not been special enough to be played…I set about making my The Wish sign for High Hopes 2014. I’m not sure if Bruce noticed the details or not, but I thought about ways in which it could stand out from the rest, people were getting very creative, waaayy out of my league! I decided to use album covers for the lettering, photo copies of course. So after a night spent at the photo copy shop, and some cutting and pasting, the real kind with scissors and glue, my sign was ready. Off to Hunter Valley 1st night, I was quickly reduced to tears when he said he’d seen a sign out there that’s a little off the wall, and then went into a bit of story telling. He said that The wish is a song about his mother, when he’s usually famous for writing about his father, also because writing on your mother is some of the most un-cool things you can do in rock’n’roll. He said he had bought his mother an iphone, she’s 86, she cannot figure how to use facetime, plus she’s not sure about time difference between USA and Austalia, plus she’s got some problems on the settings, so he sometimes speaks at his mother’s nose, but she says she likes it and she’s having real fun using it. 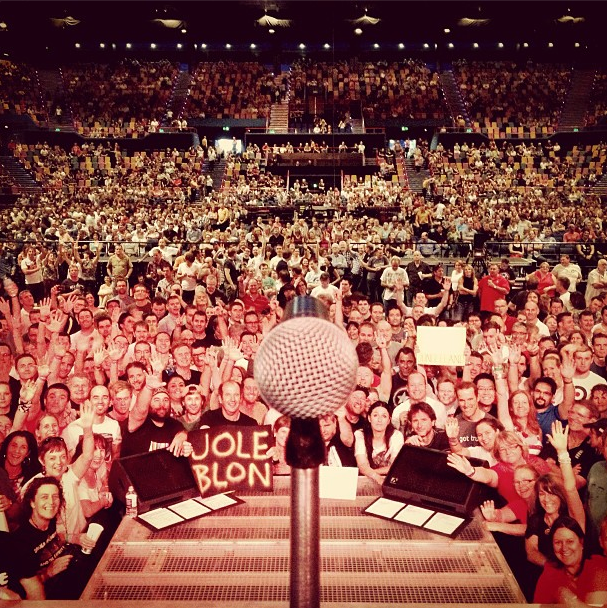 So what he does every evening is to send her a picture so she can look at it in the morning when she wakes up, and subsequently Bruce took a picture of the crowd yelling and cheering. 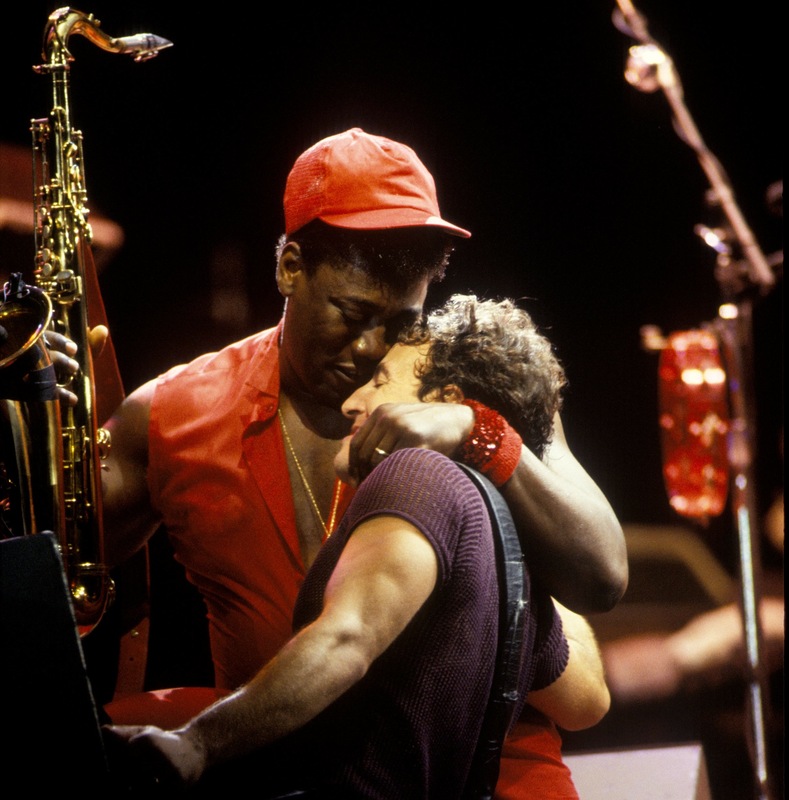 And then he set on playing it, saying, This song is absolutely, one hundred percent, true. And then he played it. I am so very grateful that I can relive it with the live show downloads. Depending on my mood it either makes me smile so much it hurts, or blubber like a baby. I still pinch myself, it was the best!